Managing the day to day effects of stress in your life. Being overstressed is less productive. 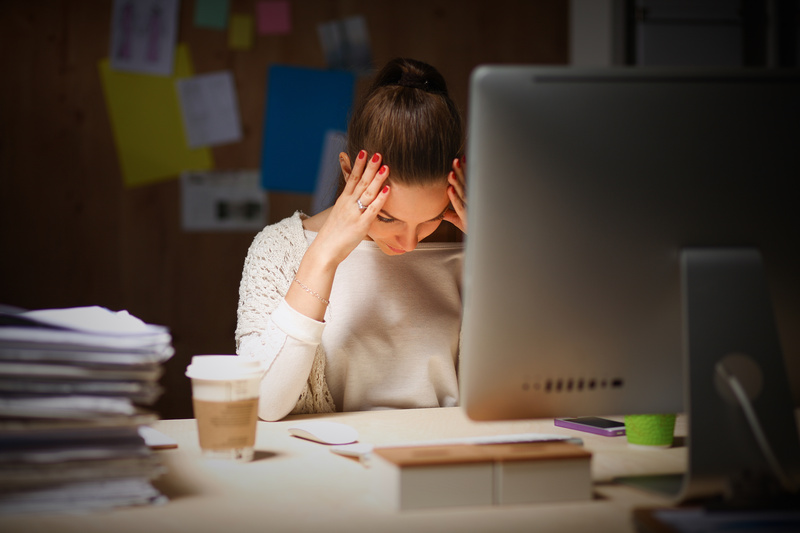 According to the American Psychological Association, chronic stress is linked to six leading causes of death: heart disease, lung ailments, cancer, accidents, cirrhosis of the liver and suicide. With stress being an inevitable part of ones day to day life, mitigating unnecessary stress is key. “Don’t Sweat the Small Stuff.” We’ve all heard about not making mountains out of molehills, yet somehow it’s hard to decipher in the heat of the moment. A panic attack will warp your perception and your equilibrium will be thrown off providing a false sense of reality. It’s important to keep cool, and remember more than likely, the situation isn’t worth the energy and effort. TIP: Take deep breaths through one nostril while closing off the other until the anxiety leaves. Incorporate Stress Relieving Techniques. Have an arsenal of stress relieving go-to techniques that can help you in public moments is key. This can bring on its own set of stress [being out while having anxiety]. What is more key? Being able to identify which will be more helpful in the instance. For example, if anxiety comes upon you in the middle of your sleep at home, you’re more likely to choose something different than in a boardroom full of colleagues. TIP: On the go? Carry essential oils like lavender, frankincense and rose in your makeup bag or briefcase. Take Time for More Self-Care. If you notice, I didn’t say “make time.” NO! You must demand time for yourself, otherwise everything else will take priority! In a world where duties and schedules are bombarding us nonstop, taking time for self-care is paramount. Getting back to a place where you can laugh, have fun, and be at ease will help you balance life. TIP: Take yourself to the movies – go to see a comedy. Laugh until you can’t anymore. Stay on Top of Your Health. We eat the worst when we are stressed. Jamming our day with sugary foods, drinks overstimulating our body with too much caffeine, excessive use of salt, or simply eating too much is overloading our bodies and actually stressing us more! According to the Physicians Committee for Responsible Medicine, there are foods we should consume to help reduce our stress. TIP: Incorporate more fruits and veggies into your daily consumption. Get More Exercise. Get fresh air and a workout to boost happy endorphins. The sun is so important in our everyday life. Try exercises out of your normal routine like yoga or weight lifting. Getting plenty of rest, staying hydrated and taking supplemental vitamins will help your body maintain levels of normalcy during high times of stress. TIP: The plant, Viper’s Bowstring Help aka Snake Plant, is a great plant for indoors, especially the bedroom. It helps to promote a good night’s sleep. Unplug. Take time away from electronics. Turn off the TV, phone and laptop. Instead, have a face to face conversation, read a book, or sit by the water and watch the ships go by. TIP: People watching is a great past time. Isolation is a dangerous and potentially fatal place to be in when over stressed. Anxiety can have detrimental effects on your mind, body and spirit. You are the only you and you only have one life to live. There’s always opportunity to rebound from mistakes. There’s always opportunity to do things differently. It’s time to stop talking about changes and make those changes. Meet new people, explore new places, do things differently. They say you need 90 days to break bad habits and create new ones. I invite you to a new way of living! Less stress and more living! Danita Harris is an American entrepreneur specializing in business development, sales and marketing. Danita, originally from Los Angeles, CA, now resides in Brooklyn, New York. Passionate about seeing people live the best life possible, Danita has been involved with the personal development of people since the early years of her career. As a life skills program development specialist for national nonprofits, professional athlete nonprofits, and celebrity nonprofits, Danita has been working with others to achieve their efforts to improve the lives of people worldwide. As a motivational speaker and author, Danita writes on topics that help improve lives like Stress Management, and Personal Empowerment. Danita believes that everyone has a purpose in life, and stepping into that purpose will help someone else in their purpose. In her spare time, Danita enjoys painting, traveling and playing tennis and golf.